3 Bedroom Detached House For Sale in Middlesex for Asking Price £699,950. This stunning 3-Bedroom Detached Eco-Home has been architecturally designed and is set in an exclusive development. The property has been finished to an exceptional standard and viewings are high recommended. Summerhouse Drive is situated just off a quiet residential road and surrounded by woodland. The family home is conveniently located for the local amenities of both Stanmore and Harrow Weald, a range of schools within walking distance and excellent transport links to the surrounding areas of Stanmore, Kenton and Harrow. Bentley Priory Nature Reserve is also within close proximity for recreation. - Fully fitted Kitchen with integrated appliances and tiled flooring. 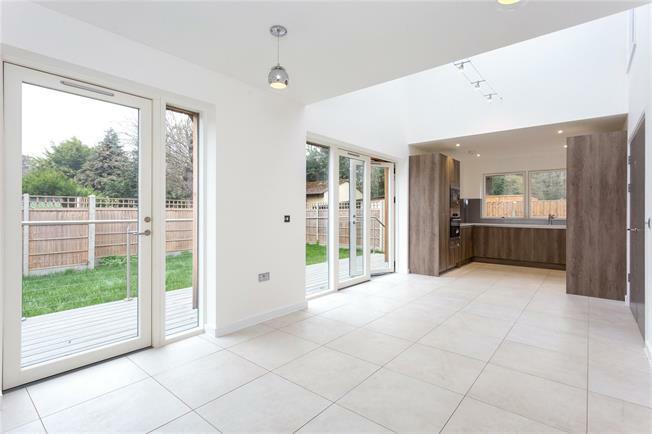 - Open-plan Kitchen/Lounge with double height ceiling and access onto patio and rear garden. - Family Bathroom and Ensuite Bathroom to Master Bedroom. - Shower/Cloakroom to Ground Floor. - 10 Year NHBC Warranty.